bff. 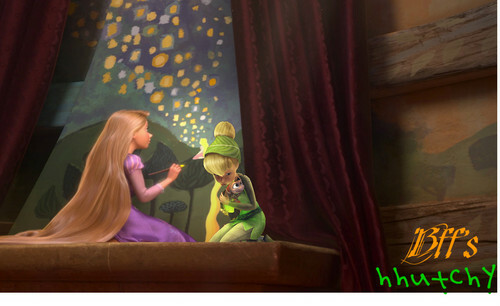 Rapunzel Paints to try and cheer Tinkerbell up. Many think she is painting Lights of Lanterns but both know its Tinkerbell's family.. HD Wallpaper and background images in the disney crossover club tagged: disney crossover tinkerbell rapunzel. Now that is deep... I love it!